The government has released the Infrastructure Finance Review with a focus on a low carbon economy and Britain’s exit from the EU. The Infrastructure Finance Review details future plans for branches of UK infrastructure and how certain aspects will change. It includes details of a future panel of experts on the infrastructure market, the future of the UK’s relationship with the European Investment Bank (EIB), and opportunities for business and public sector organisations. The review is set out in four chapters: Executive summary and review process, The infrastructure finance market, Investment models and existing tools, and Governance. The foreword outlines the government’s previous infrastructure successes and new consultations on the market. Chapter 2 looks at the private sector’s influence on UK infrastructure and planned investment. It also looks at the role of the EIB and how this will be affected after Britain exits the European Union. The report forecasts that over the next 10 years around half of the £600billion planned for infrastructure will come from the private sector. This will include electricity networks, digital infrastructure, airports, and water and waste. The UK will no longer be a member of the EIB after it leaves the EU, but the review says it will retain the institutions operating conditions for investment and also continue to receive repayments of its €3.5billion paid-in capital in instalments until 2030, under the terms of the withdrawal agreement. It also reinforces the chancellor’s promise to explore a continuing relationship with the EIB under new terms, alongside other EU groups. Chapter 3 explores how the government and regulators can help facilitate investment. It outlines future tools for investors and explores how the government can work alongside the private sector to generate investment, particularly in protecting investors from debt. 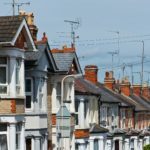 The Government extended the UK Guarantees Scheme (UKGS) to 2026 in 2019, which secures some or all of the debt of a project so the government will step in if the borrower is unable to pay a loan. Debt guarantees also extend to housing developments under the Affordable Housing Guarantee Scheme and the Private Rented Sector Guarantee Scheme. The chapter also details funding models for government projects and the and PF1 and PF2. In the chapter, the government says they are not looking for a like-for-like funding system for either Private Finance 1 of Private Finance 2 to ensure ‘value of money for the taxpayer’. Chapter 4 focuses on Governance and how it supports innovation and makes up for market failures. It details how the National Infrastructure Commission (NIC) and the National Infrastructure Assesment (NIA) have recommended that a new independent UK infrastructure finance institution should be set up to replace the EIB by 2021. The NIC recommends this institution should cover financial failures of the market as well as facilitating innovation, and have a clear mandate on the wider economy and banking. The review states they are welcoming stakeholder views on how such an institute should be set up and the form it will take, based on comparisons to similar organisations. The Infrastructure Finance Review finishes with a set of consultation questions, mainly focusing on the effectiveness of current government approaches to infrastructure investment and how things should change in the future. Responses can be sent to InfrastructureFinanceReview@hmtreasury.gov.uk or Infrastructure Finance Review, HM Treasury (2 Orange), 1 Horse Guards Road, London, SW1A 2HQ.